Looks interesting. Added to my watch list. Received Payment 12.00 USD from account U15634105. Memo: API Payment. vfinanch.com payment. Memo : API Payment. vfinanch.com payment. 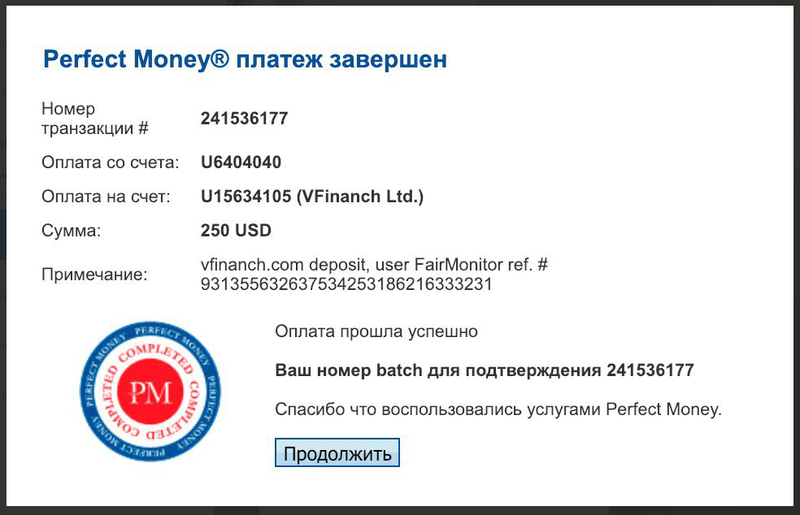 VFinanch Ltd	+30.4 Received Payment 30.4 USD from account U15634105. Memo: API Payment. vfinanch.com payment. VFinanch Ltd	+32.4 Received Payment 32.4 USD from account U15634105. Memo: API Payment. vfinanch.com payment.